Flex-6000 series is a great contest radio. 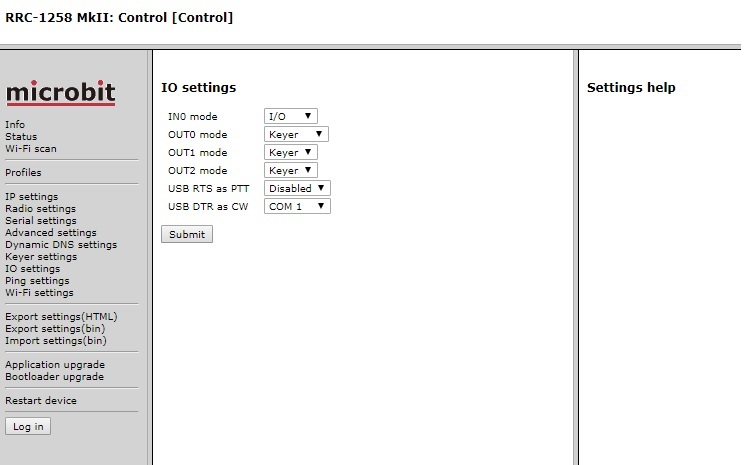 However, when running contests from a remote location present SDR software cannot produce local CW sidetone unless you use the built in CWX keyer and NOT use a logger program to automate it all. Same with Flex Maestro who does produce local sidetone but you cannot integrate with a local PC contest program (easily). Flex will eventually come up with a solution soon but till then we need a solution. The solution is the Remote Rig concept. Easy and not expensive (you may find these at the local swap market). You may use Remote Rig boxes to produce local CW sidetone very easily. At the remote radio end I have no PC (to risky in my opinion) only the remote rig 1258 MKII radio box. This box has CW keyer output that I connect to the FlexRadio front panel CW key input . It has also a Audio input that I connect to the FlexRadio front panel Audio output. 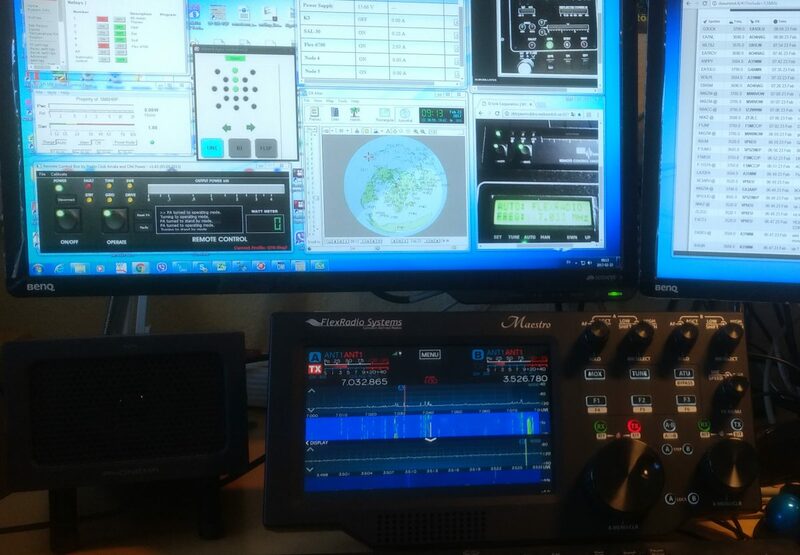 At home base I have the Remote rig control box which is connected with a USB cable to my PC with N1MM or WriteLog. 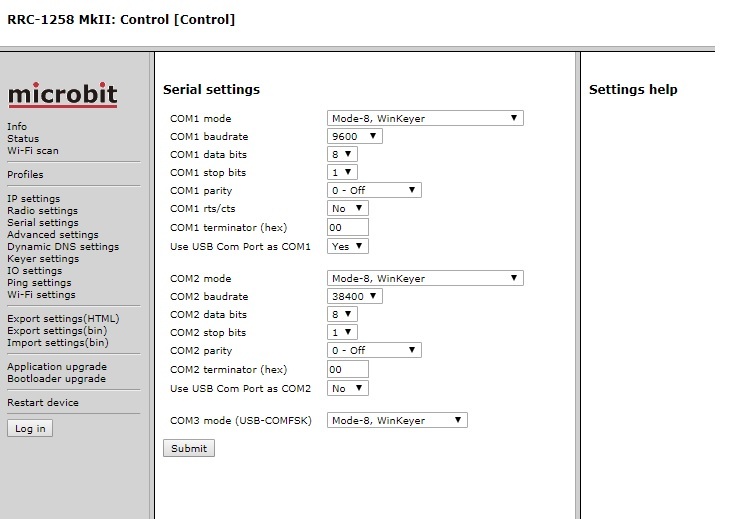 The control box automatically creates virtual COM Ports for CW keying with Winkeyer emualation (at the radio end) that I choose in the N1MM configurator for CW keying. So when I do N1MM or WL CW keying at my home base PC the remoterig radio box keyes the FlexRadio. 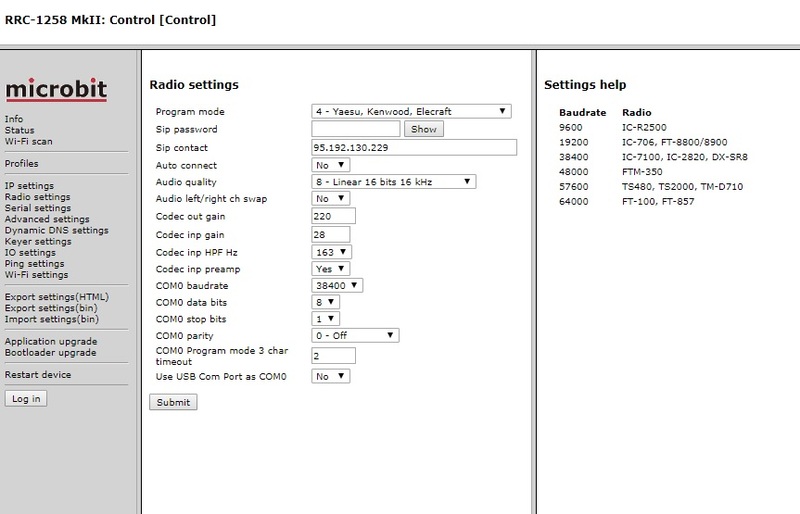 At the same time the audio output from the FlexRadio is routed back to the Remoterig control box at home base and I can hear the CW side tones. This works very well and is 100 % rock solid. No VPN is required. Just regular internet. SmartLink can be used. The bandwidth required is about 300 kbit/s depending on the audio quality of the remote rig audio (there different compression levels). With the remote rig boxes comes two COM ports that you may use to control RS-232 devices as well. Rotors, wattmeters etc. 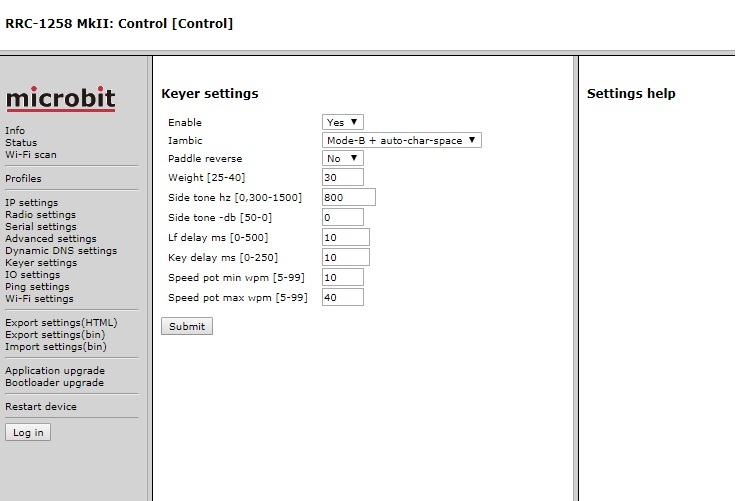 You van attach your Morse key paddle to the remote rig control box and get local sidetone as well as keying the Flex remotely. So this is the only way today to get local CW side tone when doing remote contest CW.